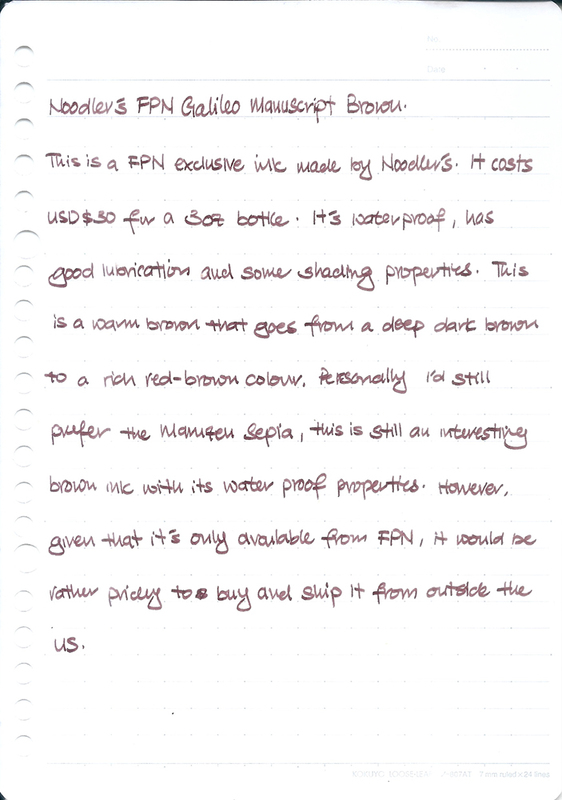 This is a FPN exclusive ink made by Noodler’s. It costs USD$30 for a 3oz bottle. It’s waterproof, has good lubrication and some shading properties. This is a warm brown that goes from a deep dark brown to a rich red-brown colour. Personally, I’d still prefer the Maruzen Athena Sepia, this is still an interesting brown ink with its water proof properties. However given that it’s only available from FPN, it would be rather pricey to buy and ship it outside the US.